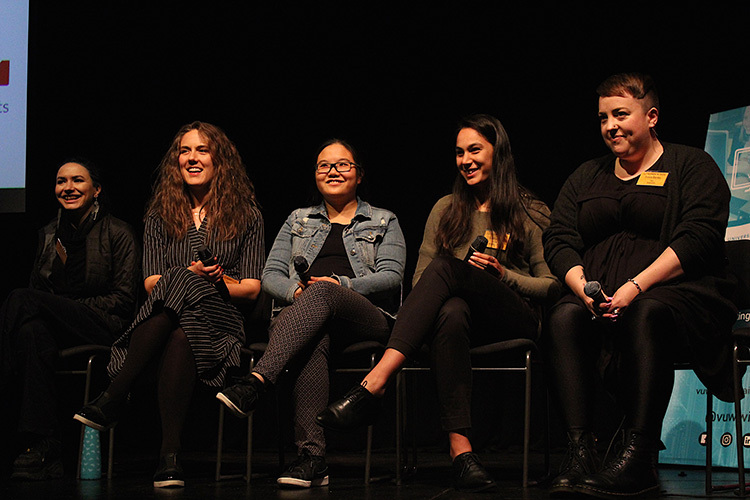 This year, Victoria University of Wellington Women in Tech (VUWWIT) ran its first conference, WITcon. 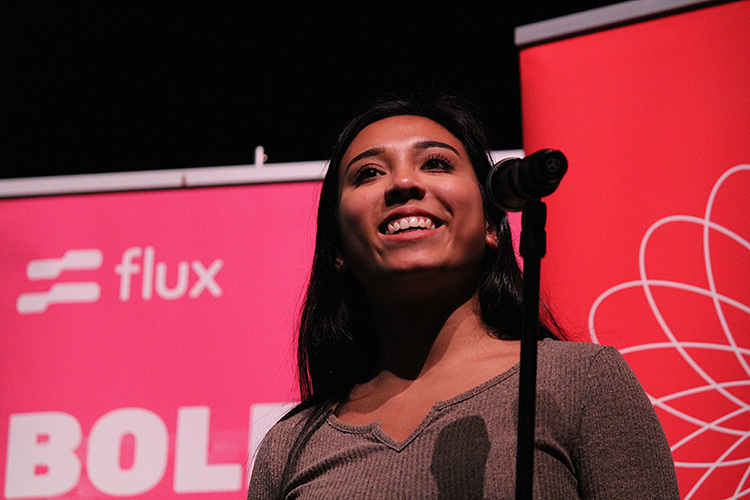 VUWWIT club president Aleisha Amohia shares what the students learnt about hosting a large-scale event—from budgets to hashtags. WITcon organiser and VUWWIT president Aleisha Amohia on stage during 2018 WITcon. The tech industry famously lacks diversity. Women and non-binary folk often have to work harder than men to prove themselves as worthy and equal, while also dealing with sexist remarks and treatment from people around them. VUWWIT exists to change that. We’re a group of undergraduate students who identify as women or non-binary and are studying Computer Science, Engineering, and other STEM subjects. We want to change attitudes so that women WANT to study tech and work at tech companies. To achieve this, in August this year we hosted our first Women in Tech conference, WITcon—which brought students and the tech industry together to discuss social and technical topics surrounding science and technology. There were many details for us to consider when organising this large-scale event, and I’d like to pass on some of what we learned. 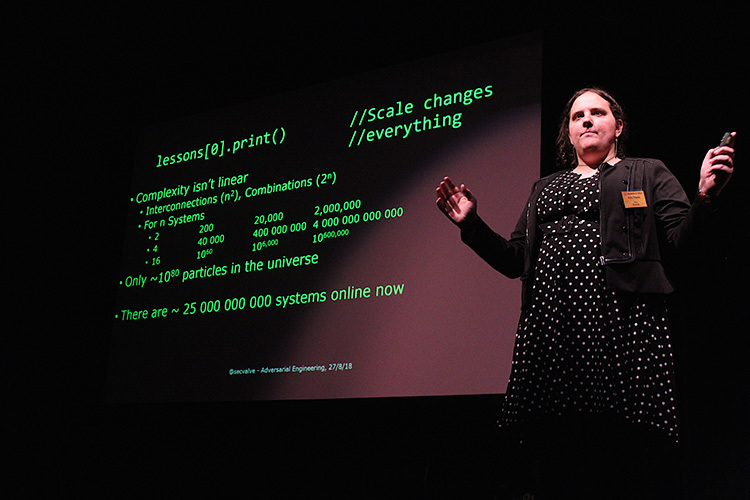 WITcon speaker Kate Pearce during her presentation: ‘Adversarial Engineering—What I didn’t learn about cybersecurity in my studies’. Catering, technicians, gifts, programmes, name tags—so many hidden expenses that ticket sales alone can’t cover. We worked tirelessly to get sponsors for WITcon so we could pay our bills, particularly since most things had to be paid for prior to the event and our ticketing system didn’t release funds to us until the event concluded. Sponsorship also meant we could keep ticket prices low for students. We learned the hard way that most companies allocate sponsorship at the start of the year, which we’ll keep in mind for next time. Profitability was never a goal for WITcon. Our goal was to fill a room with all types of people who care about technology. To ensure we represented a diverse set of attendees, we needed to see this reflected on stage through our speakers and panellists. Our speakers covered technical, cultural, and career topics. They were men, women and transwomen, at different stages of their careers, with different interests, from different cultures—one speaker started in te reo Māori. Our five panellists ranged from recent graduates to director, and from human resources to technical fields. This part of the process was vital because there is no use in telling a room of women that the tech sector lacks diversity—they already know this. Men need to be part of that conversation because they can implement policy and enforce culture which improves the workforce for marginalised groups. WITcon hosted panellists from across a range of fields and stages of their careers. The tech industry is becoming increasingly aware of the need for inclusivity. We realised this when we started advertising for speakers and selling tickets. The tech Twitter community went above and beyond sharing the ticket link, buying tickets, or sponsoring tickets if they couldn’t attend. During the event, #WITcon was the top trending hashtag on Twitter in New Zealand. It sparked conversation, blog posts, and connections. The support we received was overwhelming, but made it clear that people care about diversity and things are changing. Likewise, VUWWIT running WITcon made it clear to the industry that diversity is important for the next generation of workers and they need to prioritise it.